SoulCollage (r) Workshops A fun way to spark your creativity and intuition. Give expression to your inner voice through images, collage-making and conversation. Get details and the schedule here. 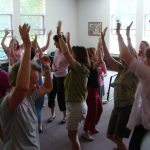 Yoga classes, retreats & workshops with Julie Lusk, M.Ed., CYT, E-RYT-500, provides the perfect way to get exercise, gain flexibility, add strength, and relieve stress. 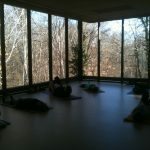 We focus on opening, balancing and strengthening the body/mind/spirit connection through yoga and meditation. 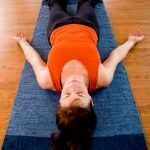 Mindful stretching, focused breathing and yoga nidra (guided relaxation) are combined to create a relaxed, secure atmosphere that is contemplative, challenging and fun. Alignment is emphasized so you feel steady, supple and strong. Julie has over 30 years experience and is certified to teach a variety of styles ranging from gentle to vigorous yoga. Julie is the author of five books and numerous recordings on guided visualization and yoga. See my qualifications here. Wear comfortable clothes and bring a yoga mat. Contact me if you have questions or concerns. → Start anytime – No need to wait! Register online for the Miami Township Yoga classes prior to the first class. Call 513.248.3727 for a user name or password if needed. Otherwise, register at the recreation office or at class if the class series has begun or to pay-per-class. Attention: Online registration is only available for the Miami Township classes. 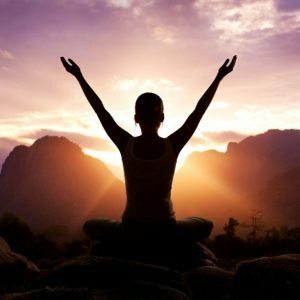 Experience a soothing technique that relieves stress, increases heart health and immunity and offers inner peace and balance. One hour of practice equals 4 hours of sleep. Bring a yoga or exercise mat, blanket and pillow. Julie is the author of Yoga Nidra for Complete Relaxation & Stress Relief and numerous relaxing and refreshing CDs. 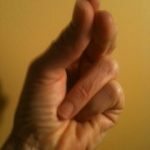 Mudras are yoga positions for your hands and fingers that facilitate health, healing, psychological balance and spiritual transformation. They are effective and easy to learn, practical and powerful and anyone can do them. You will learn how to apply these simple exercises to boost your energy, prevent illness and support healing. → Coming Soon! Please check back. Learn everything you need to start a meditation practice. We’ll cover techniques, benefits and more. 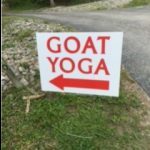 Enjoy 3 videos of Goat Yoga with Julie Lusk now! Watch WKRC-TV news crew enjoying Goat Yoga with Julie Lusk. 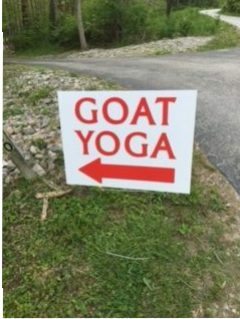 Watch this WLWT-TV news clip of our Goat Yoga adventures!